In fact, this is the very same phrase Bowe Bergdahl’s father said in front of the White House in 2014 after Obama traded Taliban terrorists in exchange for traitor Bergdahl…. 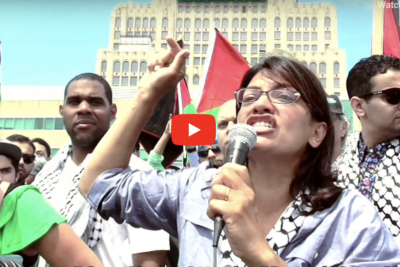 Tlaib did however, say the words “Muslim,” “Islam” and “Palestinian” several times. The only time she said “The United States” was when she trashed President Trump….